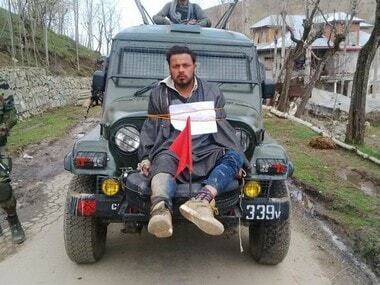 The State Human Rights Commission (SHRC) has directed Jammu and Kashmir government to pay Rs 10 lakh as compensation to Farooq Ahmad Dar, a shawl-weaver, who was tied to the front bumper of a military jeep by an army major, and used as a human shield against stone-pelters in central Kashmir in May this year, NDTV reported. "The state government should provide ₹10 lakh compensation to the victim, Farooq Ahmad Dar," SHRC chairman Justice Bilal Nazki observed, The Hindu reported. The SHRC, however, refused to direct the Indian Army in the case saying, "It doesn’t have jurisdiction over the army." The compensation was for the "humiliation, physical and psychiatric torture, stress, wrongful restraint and confinement" that he underwent, the State Human Rights Commission (SHRC) observed in its judgement. "I have no doubt in my mind that Farooq Ahmad was subjected to torture and humiliation, besides (being) wrongly confined," the judgement issued by Nazki said. He observed that the action led to trauma, resulting in psychiatric stress "which may remain with him for the rest of his life". "For the humiliation, physical and psychiatric torture, stress, wrongful restraint and confinement, the commission thinks it appropriate to direct the state government to pay a compensation of Rs 10 lakh to the victim," the SHRC said. The commission directed the Jammu and Kashmir government to comply with the direction within six weeks. The judgement is recommendatory in nature and would need the approval of the state government for implementation. "The chief secretary of the state shall file a compliance report before the commission within the same period," the ruling read. The judgement came on an application moved by Ahsan Antoo, chairman, International Forum for Justice and Protection of Human Rights. 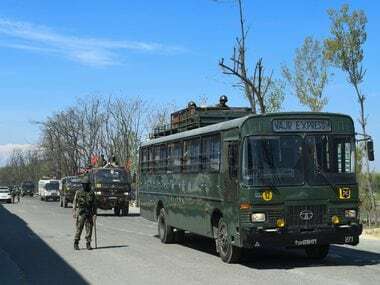 It was reported that Major Nitin Gogoi from the 53-Rashtriya Rifles had used Dar as a human shield during the bypoll to the Srinagar Lok Sabha seat on 9 April. 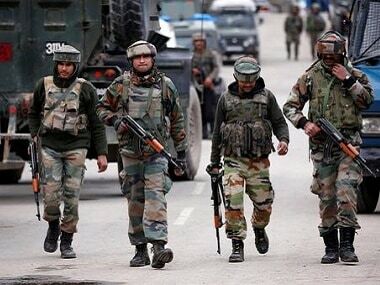 Indian Army chief General Bipin Rawat had backed Gogoi's action saying that in a dirty war, innovation is needed. Gogoi was also awarded the Army' chief's commendation card for his action. Dar, who had filed a complaint against the army had said in May that he expected little from any institution, including the State Human Rights Commission. 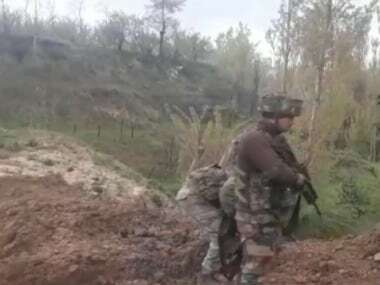 A Firstpost report had noted that Dar, a resident of Chill-Brass in the Budgam district had voted on 9 April during the Srinagar bypolls amid violence that had left eight people killed. The report further quoted Dar as saying that he had left home along with his cousin, after casting his vote, to attend the funeral procession for one of his relatives in Gaumpora village. 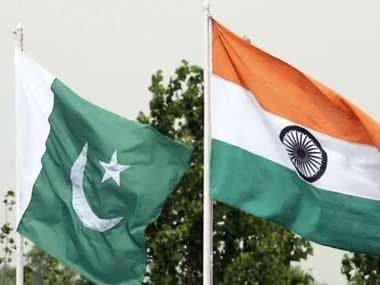 "When the duo reached Utilgam, a village near Gaumpora, the army stopped them and tied Dar to the front bumper of the jeep as it patrolled villages, apparently serving as a human shield against stone-throwing crowds," the report said. Dar’s case of being used a human shield had drawn condemnation from people across the ideological lines in the Valley. Although this was not the first time the army had used human shields, the pictures and videos of Dar’s ordeal had created public outrage.